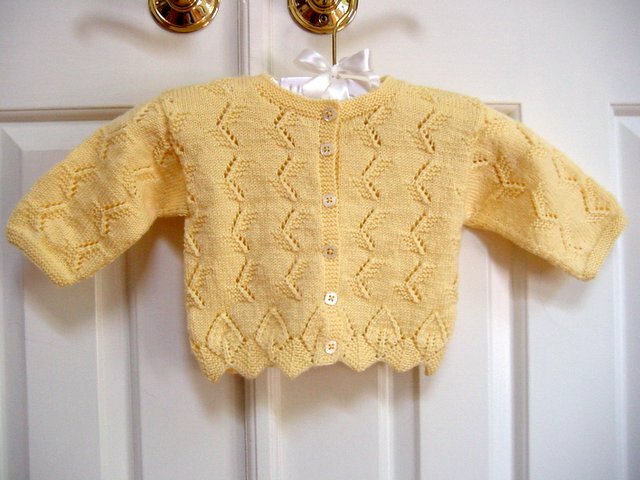 Dale of Norway baby sweater 3mos. for Kristin's new baby. Cute little square buttons on it. This sweater is absolutely adorable! I love your work.